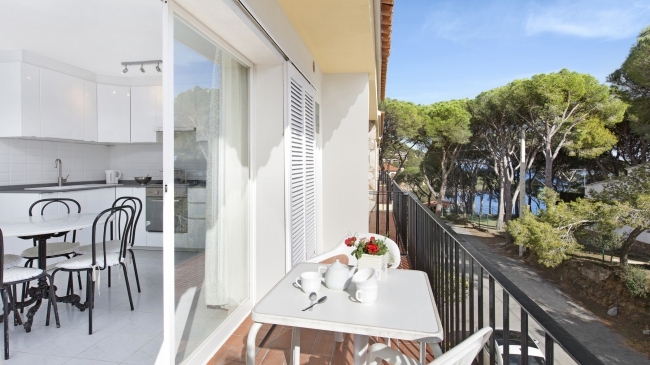 Apartment located in Llafranc. First floor with elevator. 3 double rooms (1 double bed (150x190cm), 2 single beds (90x180cm) and bunk beds (90x190cm)), 2 full bathrooms (shower + bathtub), large living-dining room (TV) with access to the balcony (it has outdoor furniture), fully equipped kitchen (ceramic hob, oven, microwave, dishwasher, washing machine). 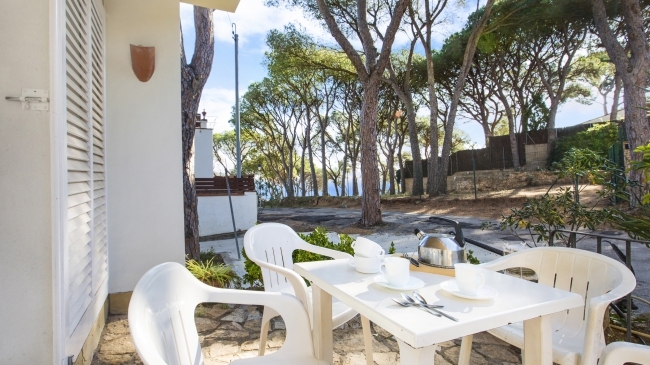 Quiet area, well located, just 70m from the beach and 50m from the center. It has parking space in community parking. 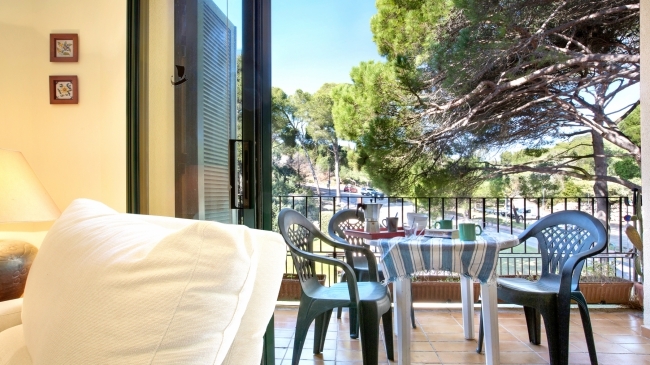 Group of small basic apartments located in a quiet area of Llafranc, just 150m from the beach and the town center. Each apartment has a double bedroom with 2 single beds (90x190cm), a complete bathroom with shower, a small kitchen (microwave, oven), living-dining room (TV, 2 single beds (90x190cm) with terrace exit. 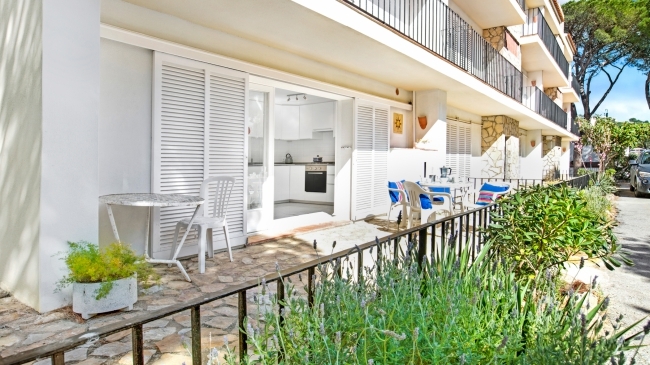 Possibility to rent on the ground floor, on the 1st or 2nd floor according to availability (without lift). Common washing machine (cost not included). Wifi Internet optional (10 euros per week).